Movimientos and Latinos in London are proud to partner with The London Latin American Film Festival who showcase the best of new Latin American cinema each year. We’re looking after your musical needs with the soul inspiring live sounds of the highly talented Lokandes, fronted by whirlwind musical maestro Kanti Qena. Since 2003 the Mexican government has been trying to build the LA PAROTA hydroelectric dam. If built, it will flood several communities south of Acapulco. The campesinos who have resisted this project show us their lives, work and love for the land in AND THE RIVER FLOWS ON. One of the Mexican producers will be hosting the screening with a Q&amp;A after the film. 9.30pm – The film will be followed by a live set from the mighty Lokandes, who play a red hot fusion of Afro-Andean and Latin sounds. Taking the melodies and energy of Andean music and bringing it bang up to date with Son, Reggae and funky Afro-Latin rhythms, the band unites musicians and instruments from Peru, Bolivia, Spain, France, China and the UK, and sets their highly original music, alongside socially conscious lyrics to a tight rhythm section.? 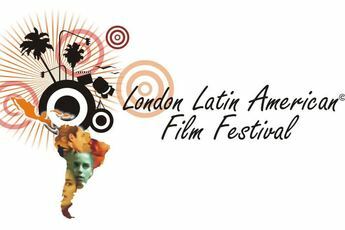 The London Latin American Film Festival is a non-profit organisation dedicated to promoting the distribution and appreciation of Latin American films in the UK. This London based festival showcases the best of new Latin American cinema each year. The film screenings and associated events they organise also raise awareness of Latin American culture and provide a positive image of one of the minority communities in the UK. Recognising that there was a wealth of Latin American cinema that never got distribution in the UK, Eva Tarr Kirkhope, together with her late husband Tony Kirkhope, founded the London Latin American Film Festival in 1990. Since then, the festival has grown from strength to strength, becoming one of the biggest festivals of its kind outside Spanish speaking countries and bringing together the best of contemporary Latin American cinema. This entry was posted in ARTS, EVENTS, FILM, WHAT'S ON and tagged colombia, kanti qena, latinos in london, lokandes, london latin american film festival, mexico, movimientos, Peru, rich mix, uk. Bookmark the permalink.